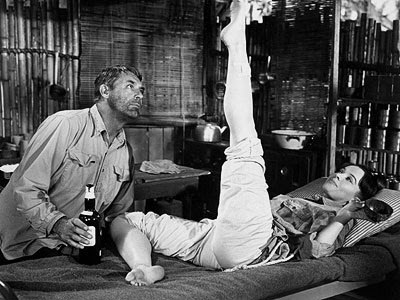 Walter Christopher Eckland played by Cary Grant is a vagrant who is living on a beach. During WWII, he is persuaded by the British Authorities spy on the planes passing on the island. Reluctantly, he goes about his job. Commander Frank Houghton being an old friend of Mr. Eckland, it was a matter of obligation to be deserted in an island and spy. 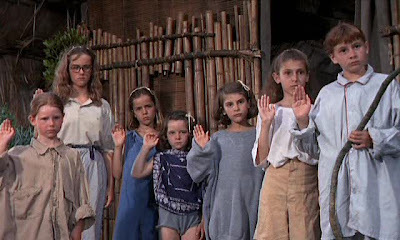 During his stay in the island, he encounters a school teacher Catherine Frenau, played by Leslie Caron to be stranded in the island along with few children. They have managed to escape from the Japanese and thus seek shelter by taking Mr. Eckland’s help. Mr. Eckland, as a result of a lady and kids finds himself to be out of the house and finds shelter in his boat, which is semi-damaged. The story involves a series of comical incidents between Mr. Eckland and Catherine over many issues. With time, they get each other’s perspective and starts appreciating. Also, change of attitude towards children is seen in Mr. Eckland as he takes up the responsibility of Catherine and the children. He builds his boat so that, it could be used to escape when Japanese invade the island. Catherine and Mr. Eckland fall in love with each other and also get married with minister playing the role of priest, perform the rituals via radio transmitter. Japanese airplanes strike the island right after the wedding ritual. While they wait for the submarine from the Navy to arrive, Japanese invade the island. Mr. Eckland manages to distract the Japanese and escape safely. 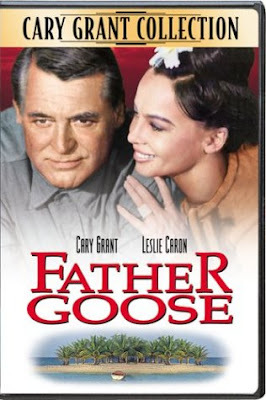 Released in 1964, Father Goose was a romantic comedy directed by Ralph Nelson. It was nominated for three Oscars and won one Oscar for Best Screenplay, Writing. Other categories include Best Sound and Best Film Editing.